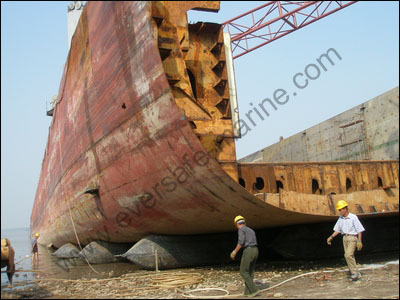 Eversafe Marine contracted a 3600 tonnes conversion ship docking project recently. That ship with 8.2 m molded depth is 122 m long and 32 m wide. The hauling out project was carried out with 22 pieces marine airbags and two 20 tonnes winches on Yangtse river side. 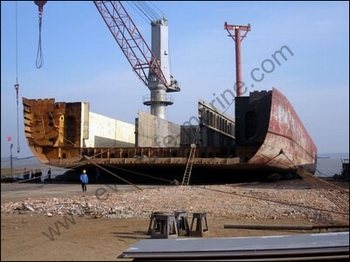 Docking ship with air bags is a good choice for remote area where lack of docking slipway or temporary docking. 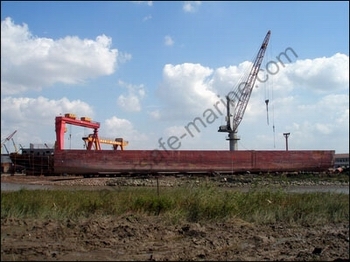 Compressed natural ground can meet the docking demand of small size vessel. To enhance ground bearing capacity for big vessel docking with marine airbags, steel plates are found to be convenient and useful.